This year I was lucky to win a free entry to Kathmandu Coast to Coast World Multisport Championship, the race every multisport/adventure racer should do at least once. This put me and all our family under a little bit of a pressure, as this race is known to be a hard one in terms of logistics and cut offs. However, despite all challenges I, Serge and our 1,5 year old Alexander made it to Christchurch one week prior the race. I did not manage to put enough hours of training into it, but it is, first of all, about having fun and second, about a result, right? 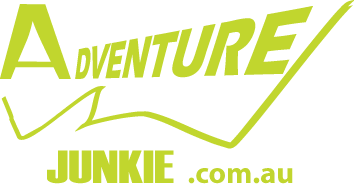 All previous years of racing when I could be a little bit fitter it did not quite work out to get to New Zealand, but 2016 was a year when Adventurethon gave away free entries to male and female winners of Anglesea event, could I miss it? No, I could not. The Coast to Coast race is epic, the course literally crosses South Island of New Zealand from west to east. I knew it before the start of course, but actual realization came to my mind only once to I got to Christchurch, especially after driving all that way in the car prior the event. It is 243 kilometers all the way across South Island, and I did it on my own over 15 and a half hours. The course is really tough. Does not matter whether you go hard or slow, I guess, it is a decent challenge to get through the run, paddle and all those kilometers on a bike. Although I have a feeling there were no participants going “slow” in terms how they felt in the One day event, everyone was pushing as hard as they could. I don’t think I have ever seen so focused participants in this type of events. Saturday at 6 AM from the little village Kumara Junction, next to the beach of the wild West Coast it all started. The first leg is a short 2,5 km or so run to the bikes. Then bunch 50 km road ride to the next transition. The first run is on road, 90% bitumen. The ride is undulating, with couple of mild ascents and some easy descents. Everyone is super focused, and doesn’t want to finish their race early having a crash there. Bitumen run never was my strongest and favorite, in particular, now when we live next to the hills and I would rather hike in the bush than run on asphalt over that little amount of time I got for training. Therefore, I was pretty relaxed about where I was going to complete the first leg. The second leg- ride -I started probably too fast trying to catch people ahead of me, which was definitely a wrong move, just blew up legs instead of sitting comfortably behind. The third leg is THE RUN. It is in capitals letters because it is the run. Not just a 33 km run. I had a bit of impression how it was going to be based on what I heard from other people, but without many details. So the run is a really hard one. Maybe it was just my lack of fitness or chasing other people of a ride, or all together. It is steep in the middle and technical most of the time, but my main challenge were freezing river crossings. It was not physically hard to cross the river but after every crossing my legs just did not want to move anywhere. This was annoying and I felt almost desperate but you just do what you can- keep dragging yourself through. It used to be not marked very well, but from this year it seems to be taking a bit different direction, so the course was perfectly marked and you would not have any issues with navigation your way. First 14,5 kilometers you follow the river along walking path, crossing it quite a few times, with mild elevation gain then you hit steeper and more technical section up to the pass. A downhill starts from there but along quite a technical path again. Flat riverbed is at the end, when you barely can lift your legs up. It is a beautiful run, I would not hesitate to race just a mountain run as well if I ever have a chance, it is totally worth the travel. Once I hit the highest point, I started feeling a bit better and managed to accelerate on a technical sections and catch few racers who dropped me from the start, which got my spirits a little bit up. Last few kilometers were a real pain; I watched my Garmin and counted every hundred meters to go to the TA. By the time I hit the next transition I was broken completely again and this was about a middle point of the race. Short 15 kilometers ride to the river, little run to the bottom and off I go to the one more scenic section – a paddle. There were few girls around so transitions were quick. Serge and Alex did a great job. I did not read race description well enough before the race so did not quite realize I needed double set of some items of compulsory gear list, so it created additional challenge for my support crew – to get my running gear, overtake me during short 15 km ride, arrive to paddling transition, repack gear, show it to officials, put into the boat and then get me on water. The paddle is on Waimakariri river, I managed to paddle the river before the race, thanks Lou Carrington, and it gave me impression it was very easy to get into the trouble there especially after being racing for a few hours before. The first 15 km or so it is a wide valley with a few braids to navigate. The challenge here is to not hit the shallow bits. I somehow managed to avoid them and even caught up few people. Two major grade 2 rapids at this section. Then it is 40 km Gorge section, which is stunning. The river flows fast and smooth with one main rapid and few relatively sharp corners and eddies. I guess it is a fine line between too tippy boat and too slow boat. I had a great paddle and enjoyed every bit of it paddling a fast boat. Before the race the idea of sitting in the boat for 5 or so hours sounded terrible but the flow, rapids, views make it quite entertaining, so time was flying up there. The first section of the river I was too conservative and paddled quite slow thinking about high chances to get too tired and go for a swim but then realized I was feeling quite good, did not have any balance issues at all so accelerated and finished strong. Last transition where officials lift me out of the boat, short run/walk to the bike and off I go to the last 70 km time trial. It felt like finish line was very close but headwind made it as hard as it could get. Finish line in New Brighton reminded me old days of racing cross-country skiing and biathlon but this time with little Alexander in my hands - pretty special. I might even want to do it again. Support crew was a vital part of the event - all gear had to be transported plus changing over could go much smoother if they know what is going on. Serge and Alex did an amazing job there. The gear and logistic is not simple here too, I am lucky to know Kath, who was very generous allowing us to stay at her place in Christchurch and use her car for the event as support vehicle. Otherwise, it would certainly be much more complicated. It is definitely a must do event but some training required. The field is very competitive, I don’t think I ever raced multisport events with so many girls were around for the whole race. Finish time 15.28, 12th overall, 10th open female made me kind of happy but it is fair bit of room for improvement, no doubt.